Almost nothing can make a home look more complete than a tv mounted on the wall. There are multiple benefits to having your tv mounted. Moving your tv from the floor to the wall will give you more usable square footage in a space. Moving your tv from a stand, dresser, or desk will stop that annoying object from blocking the bottom half of your favorite show (that is so annoying). Other benefits of having a tv mounted is the peace of mind. All tv stands are not created equal, if your kids or dog happens to run by and bump or grab the tv some stands just won’t hold. With a professionally mounted tv a cracked screen will never be a concern. Once Pro A.V. Llc mounts your tv you will never have to worry about your tv again. , you can rearrange furniture without having to move your tv. The arms attached to the mount will swing out allowing you to view the tv from multiple angles. 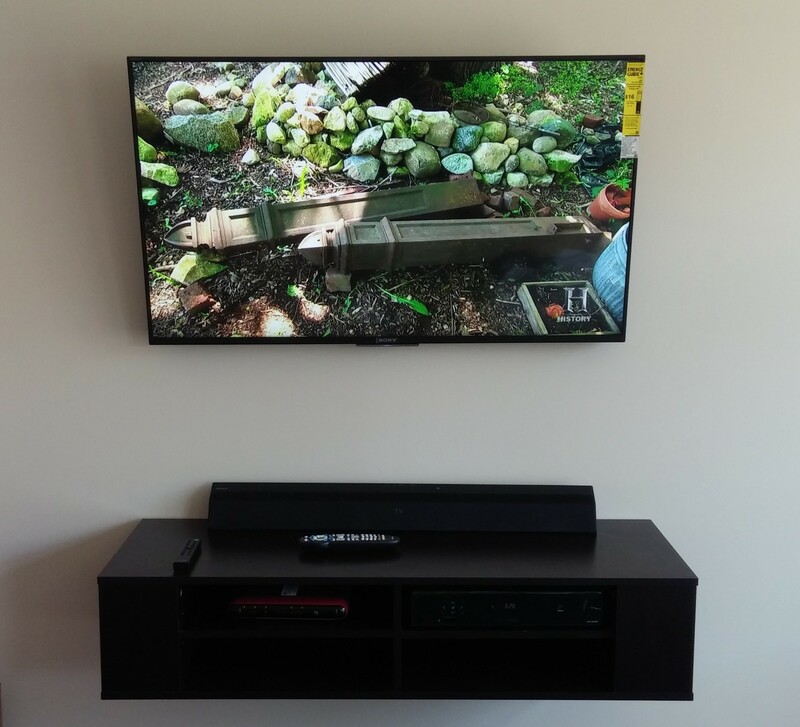 Hanging your tv will give you better viewing angles. If your tv is sitting down on a small dresser then it may be difficult to see your tv. Moving your tv to the wall will give you a better view. We offer an array of services commercial and residential, here is a list of the type of work we perform.